Evening and Weekend appointment available !!! Why Choose Us? IIRC trained technician, fully licensed and fully insured for your full protection and peace of mind. JR, is a Spokane Carpet Cleaning expert, rug and upholstery cleaning experts with lots of professional experience behind us. No other Cleaning Company rival us for professionalism and service. We use the latest Fast Dry Deep Cleaning Systems that give a really deep down clean, removing more stains and soiling. We use the very best Eco Friendly Cleaning solutions that not only clean better than chemical cleaning, but also they are safe for you, your family and your home. 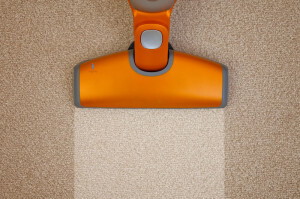 Our carpet and upholstery cleaning systems are recommended by leading manufacturers and cleaning experts. 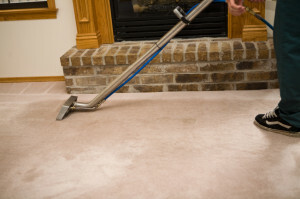 JR Carpet Cleaning use Track Mount and recommends the hot water extraction cleaning method as the most effective way to completely clean your carpets. 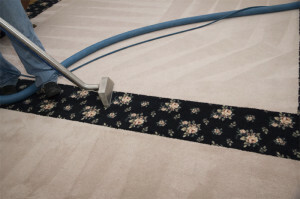 In order to protect your carpet investment, regular carpet care, carpets stain removal, a good functioning vacuum cleaner, and regular carpet cleaning are required to extend the life of your carpet. What can I say… absolutely top quality, very professional with exceptional results. I’ve used almost all major carpet cleaners in Spokane at least once (primary the ones that advertise on radio), and JR blows them out of the water (price and quality!). Thanks again and I will be referring both family and friends! This technician is cleaning a home carpet.